​The first Hospital in Patea was operated by the military on the beach between 1865 & 67. Dr Samuel Walker , a former surgeon for the Armed Constabulary and winner of the New Zealand Cross, operated another military Hospital in the vicinity for a few years from 1869. In 1876 the government granted the a newly formed Hospital Committee use of two immigration cottages in the area behind where the canoe is now, with Dr Walker as the surgeon. A year later he was replaced by Dr J M Warren, and then by Dr A C Croft. The Patea County Council shared with the Government the responsibility for the Hospital, and had the new Hospital built in 1879 on Pembroke St. However when the Government contribution was not received, the County threatened to close the hospital. A committee was formed to keep it running and in December 1883 this became the Patea Hospital Board under the Chairmanship of Mr RA Adams. Trained Nurses replaced stewards in 1897 when Dr A G Harvey was Superintendent. 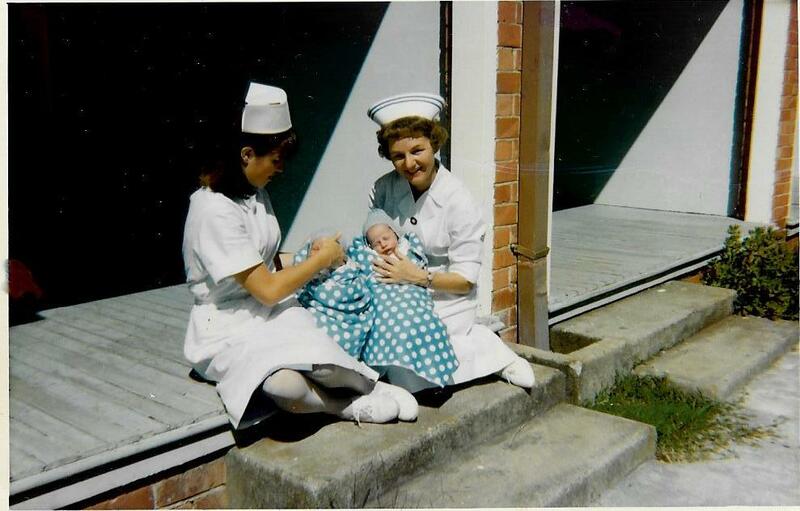 The first Matron was Miss Jean Allen from Dunedin Hospital, & the first probationary Nurse Miss Alma Prouse. From 1897 to 1902 Patea also had a private hospital operated by Dr GG Gillon, who leased Captain Wray’s home ‘Beaconsfield’. Dr Harvey was a significant figure in initiating lectures on nursing for ladies around the district. Together with the board, Dr Harvey instituted Annual Hospital Balls, which provided additional funding for a new kitchen, operating equipment and other facilities. 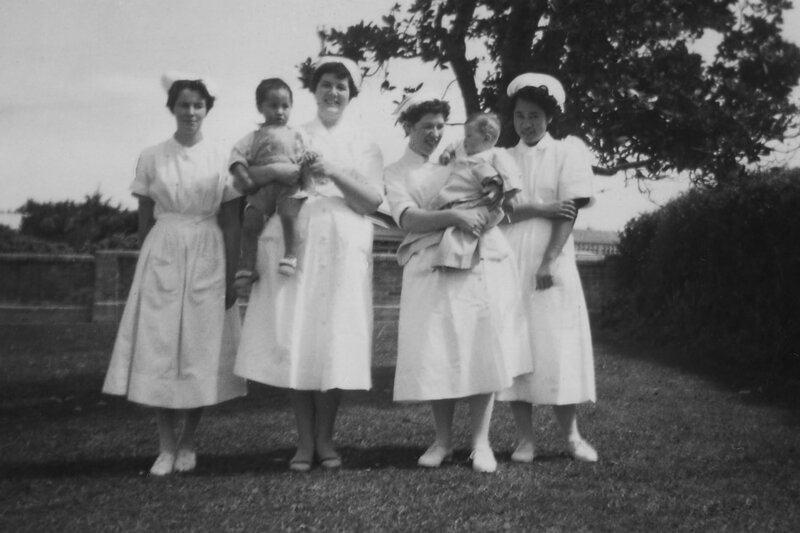 The next major figure to arrive at the Patea hospital was Dr W T Simmons. His period as Medical Superintendent began in 1904, only one year after he had finished medical school. 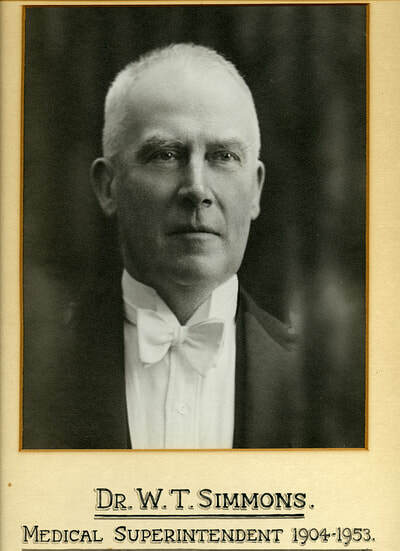 Dr Simmons together with holding this position for nearly 50 years, until 1953, played a large role in the Borough Council and community activities, which included the building of the Patea Town Hall. His first wife Ruby died in August 1940, and his second wife Crystal, who died after him, are also buried at Patea. Dr Philip Houghton & Dr I MacKenzie came after him and Dr Golding in 1968. For many years nurse training was an important function of the hospital, hundreds of nurses were gained their registration here. Despite the additions to the hospital made in the time of Dr Harvey, the hospital was often overcrowded. A bequest of the McBroom farm at Kohi in 1903, allowed the hospital and the Board to plan a new hospital, which was designed by Mr T H James and contracted out to Mr Nicholas Meuli (brother of Otto Mueli, Patea Blacksmith) of Wanganui for ₤3748. The new brick hospital was opened in September 1909, and the old building was transformed into the nurses home, until 1925, when their purpose built two storey accommodation was built. A second home was built in 1938 and linked to the first. The ground floor of the Nurses home was used as Te Mahana’s home for the elderly in late 1970’s until the present Te Mahana complex was built on Chester St in the early 1990’s.